With the rise of social media and a struggling print industry, the media landscape is rapidly evolving and the priorities of journalists have evolved with it. Each year Cision surveys more than 1,500 journalists and influencers to gauge what is important to them and how they interact with public relations professionals and marketers. The State of the Media Report provides insights to how journalists are adapting to change and PR pros and marketers, like us, can do a better job interacting with them. As explained in a previous blog post, these are interesting times in terms of the public’s relationship to the media. 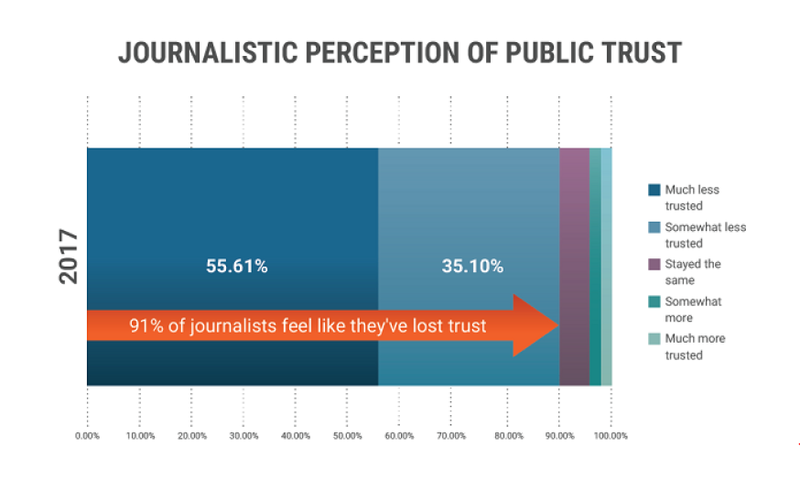 Journalists cite regaining the public’s trust as their biggest challenge in 2017. An informed pitch is the best way to reach journalists. 51% of journalists surveyed want to see a displayed knowledge of their past work, interests and strengths in the pitches they receive. A previous relationship with the PR contact is also important with 15% of journalists surveyed saying that it makes them pursue a story. Journalists continue to rely on PR Professionals as story sources. 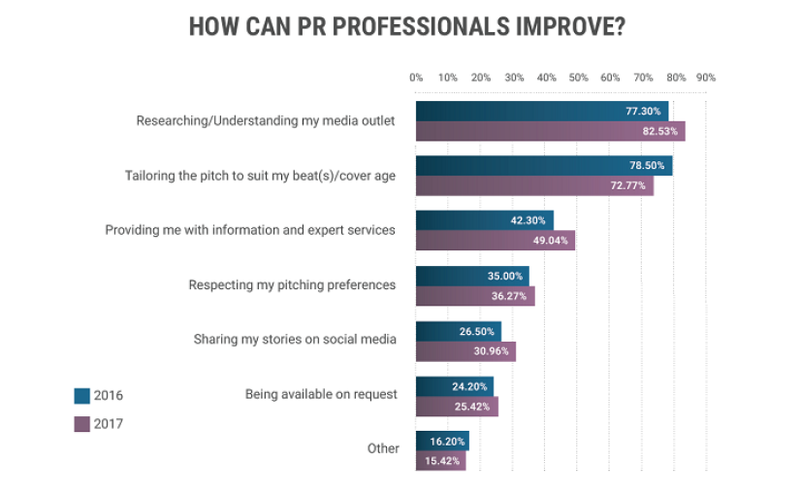 63% of responding journalists reported that they still use PR professionals to reach their sources. The report also shows that press releases and story leads continue to be the most valuable to journalists. Journalists rank expert interviews and story sources the second highest in value and assistance in story writing the least valuable. Journalists use multimedia from newswire sources and stock photography more than staff photography compared to 2016. Adding multimedia content to your release will increase your chances of pick-up. Digital media has changed the way the American audience consumes information. Facebook continues to be the most powerful channel for audience engagement. Journalists have confidence in Twitter, despite the company missing recent revenue targets. The group’s confidence in the social media platform may be due to journalists being the largest verified group active on Twitter. Despite their confidence in social media platforms, most journalists continue to believe that social media is not a reliable source. 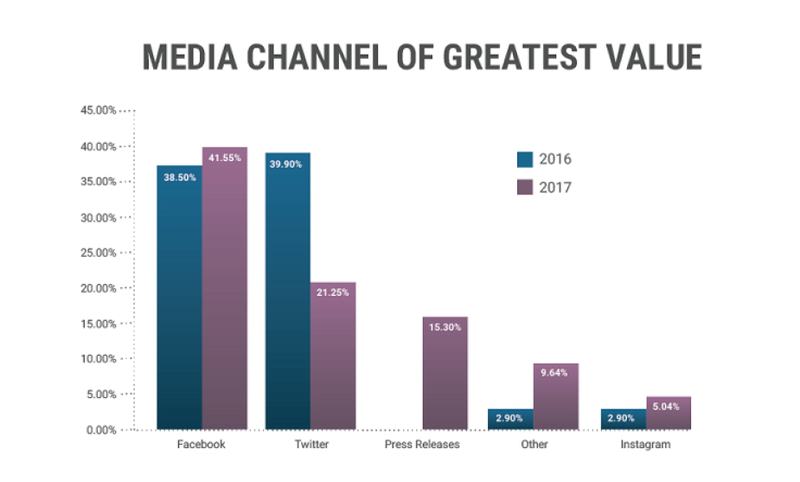 Overall, the Cision 2017 State of the Media report provides a nice snapshot of how journalists and influencers are feeling about the media landscape. Most importantly, it shares insight into publicity and media relations best practices. Relationships with journalists are crucial for our clients’ success. Supporting best practices with the data of the survey will better prepare PR practitioners for the next long-lead feature or small news item.